"I focus on pattern making techniques that use the entire piece of fabric. I believe in slow fashion, that clothes should be of a high quality and can be kept forever. I work on combining soft draped styles with sleek tailored pieces using many natural fibre fabrics in my work." 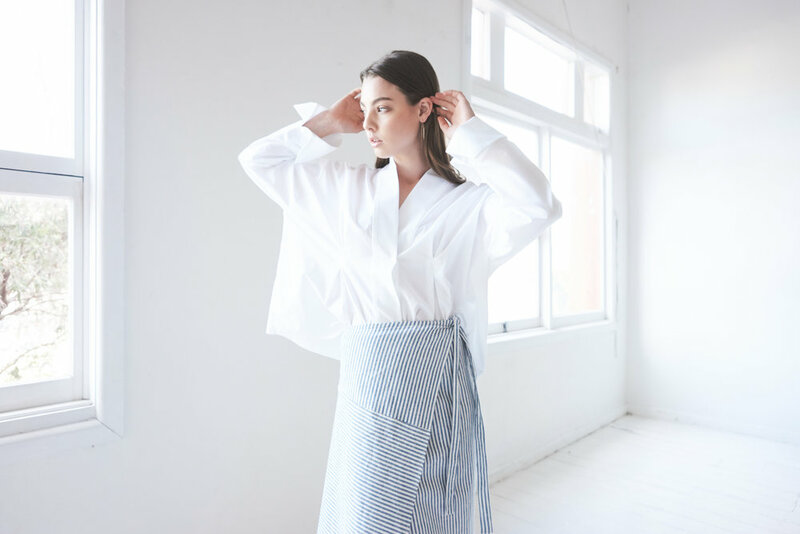 Laura Keogh is focused on being 100% local and minimising fabric wastage, with all fabrics sourced in Australia and all garments designed, cut and sewn in their small studio in Newtown, Sydney. "Since I studied fashion design I have followed the work of the Council of Textile and Fashion. What would not be amazing about being involved with an organisation that supports the growth and development of young emerging designers? I feel to be part of this network would help me to fulfill my potential as a designer and encourage me to always look to the future of the industry, to innovate and to stay up to date with sustainability and ethical practices."